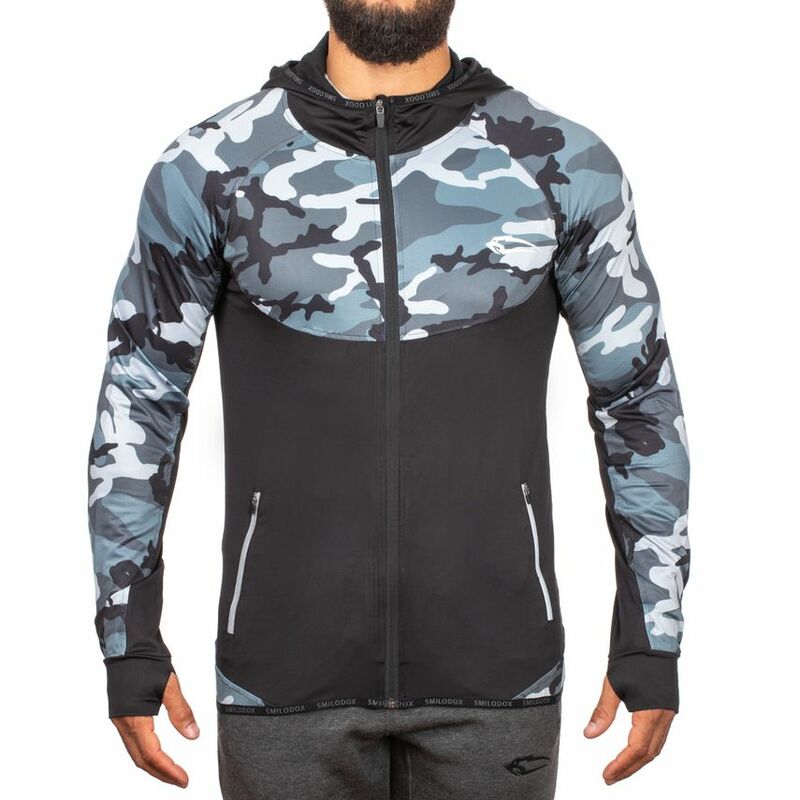 You wouldn't want to miss the extraordinary design of the new Smilodox Zip Hoodie Strength during your training. 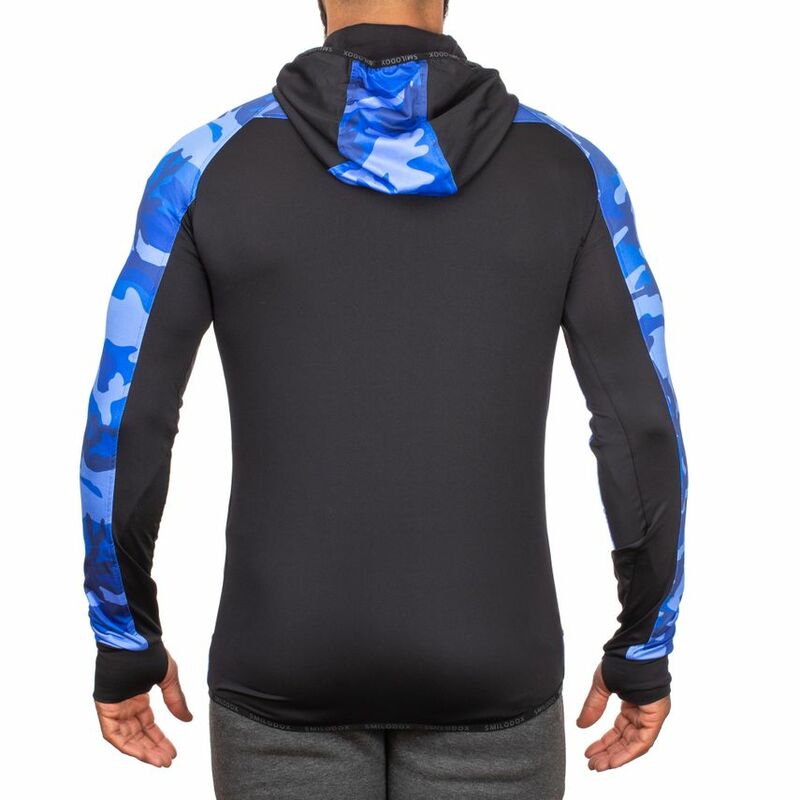 It convinces with a large variety of colours and patterns, as well as a body-hugging cut. 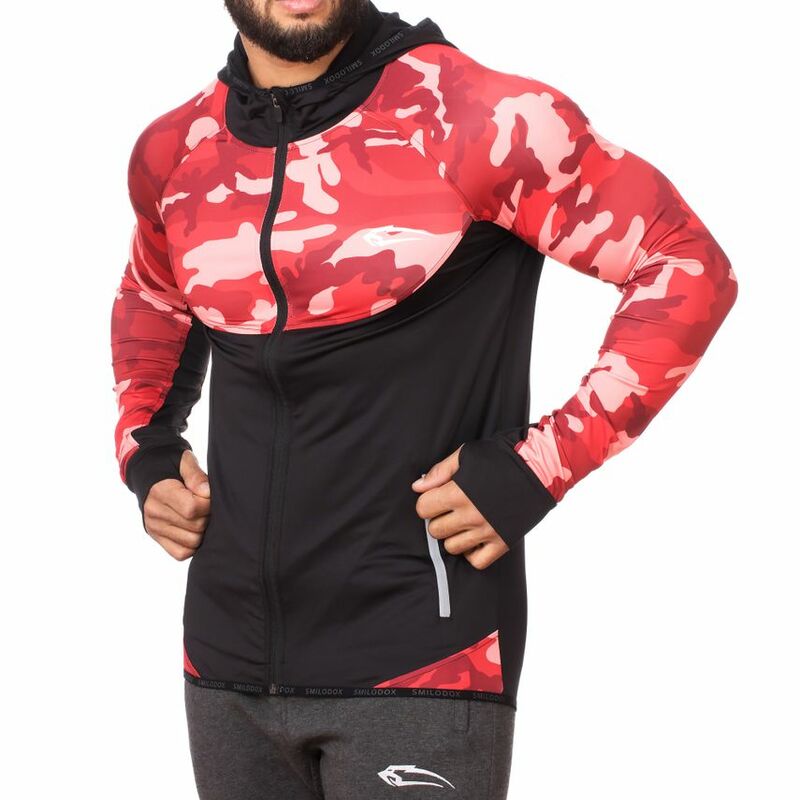 Its fit and cut ensure a high level of wearing comfort that don't want to miss anymore. 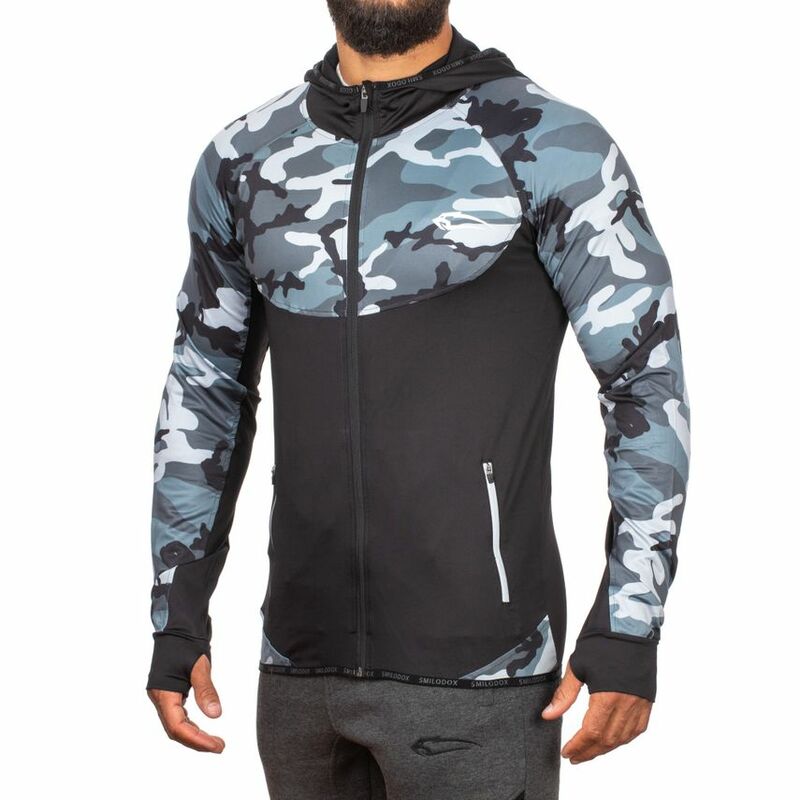 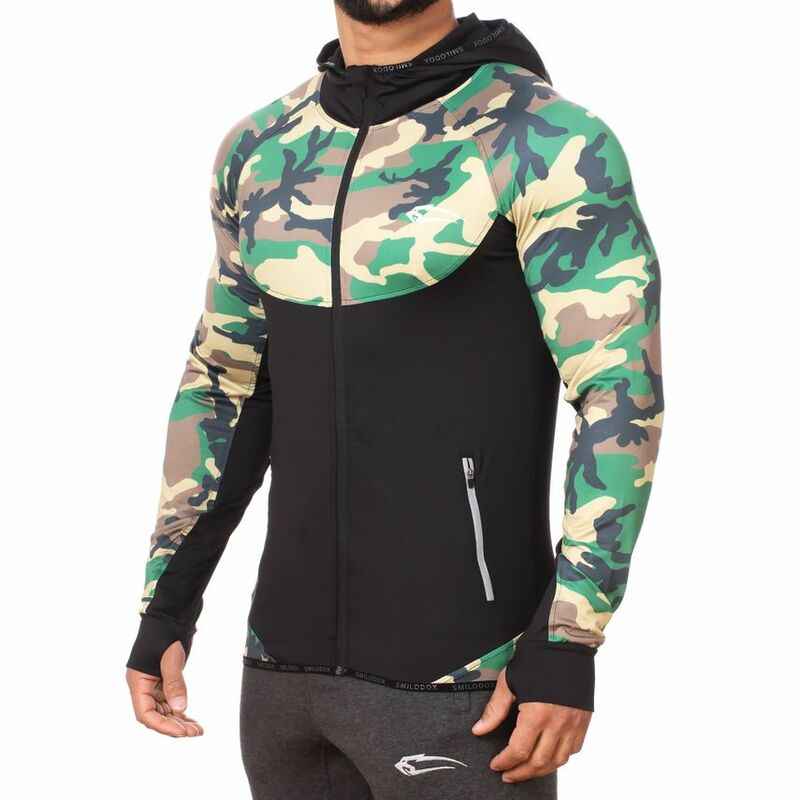 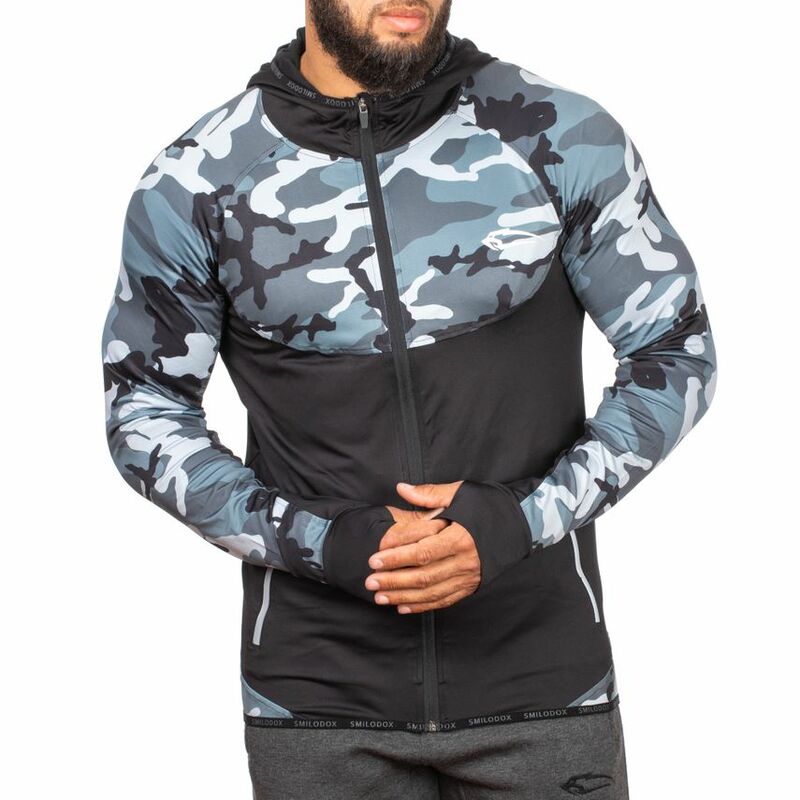 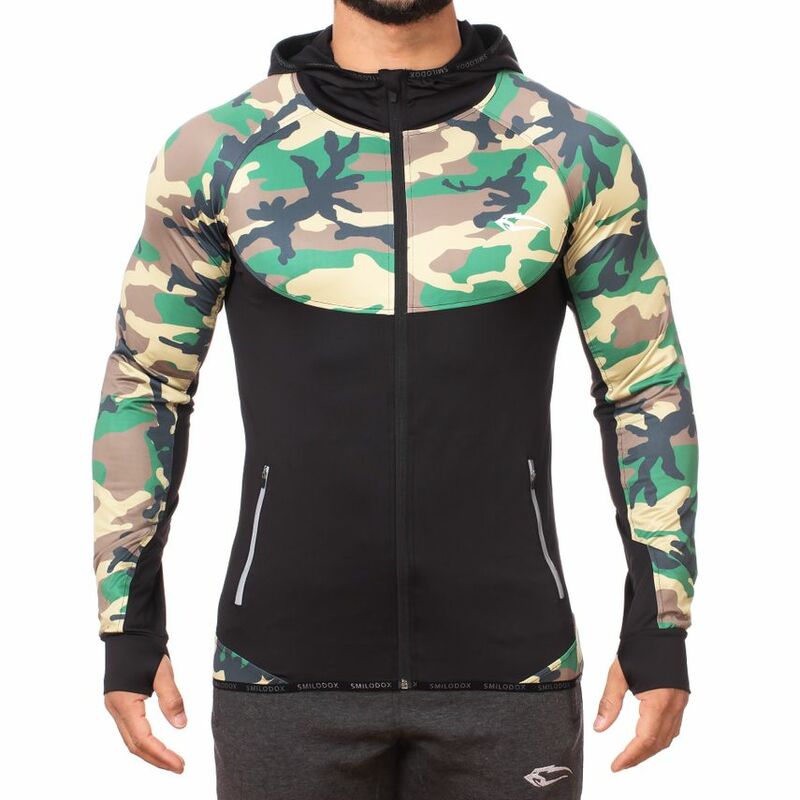 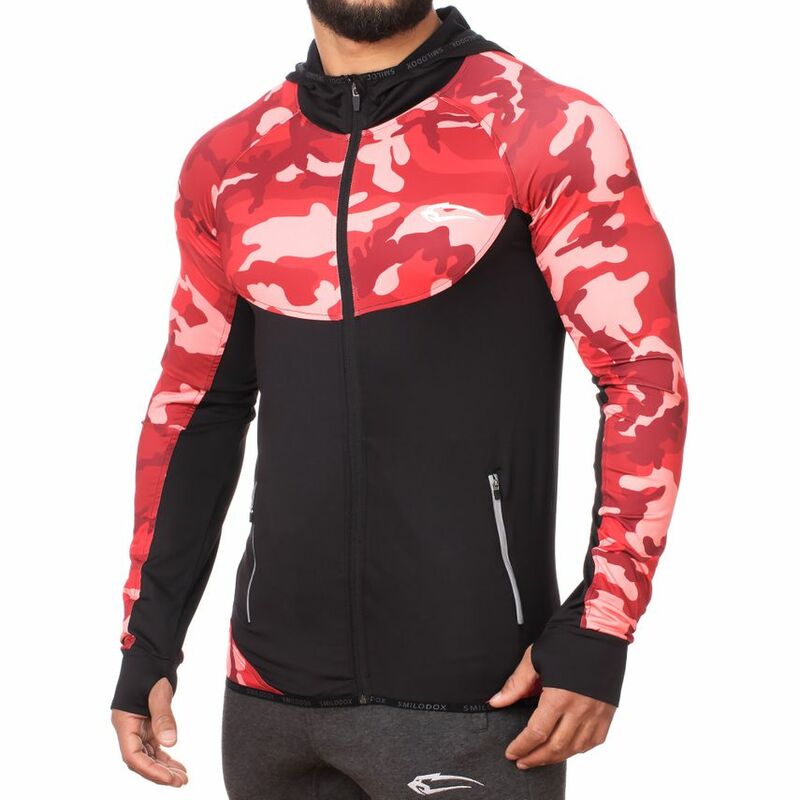 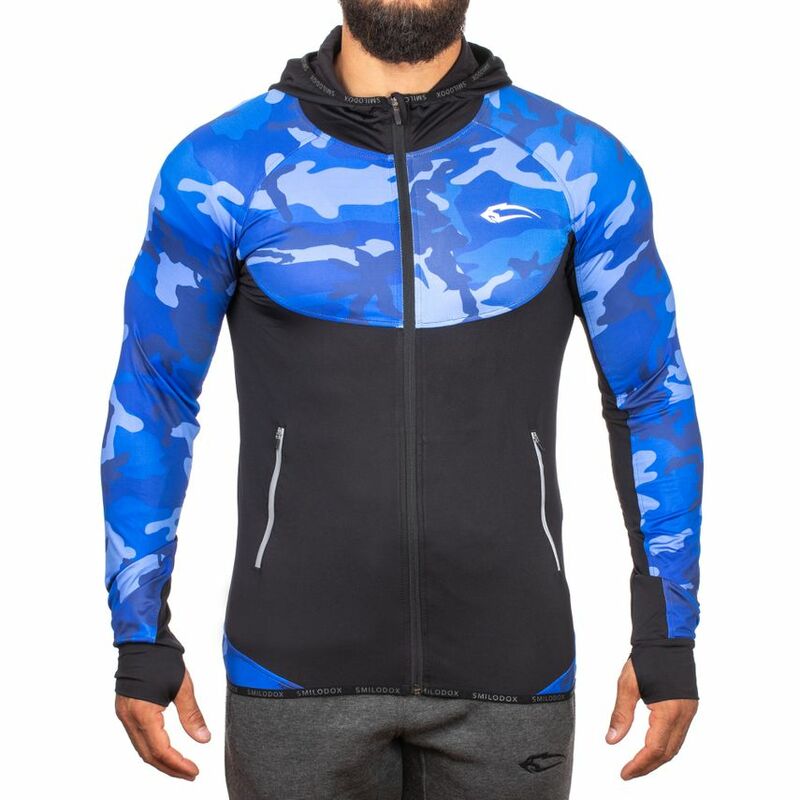 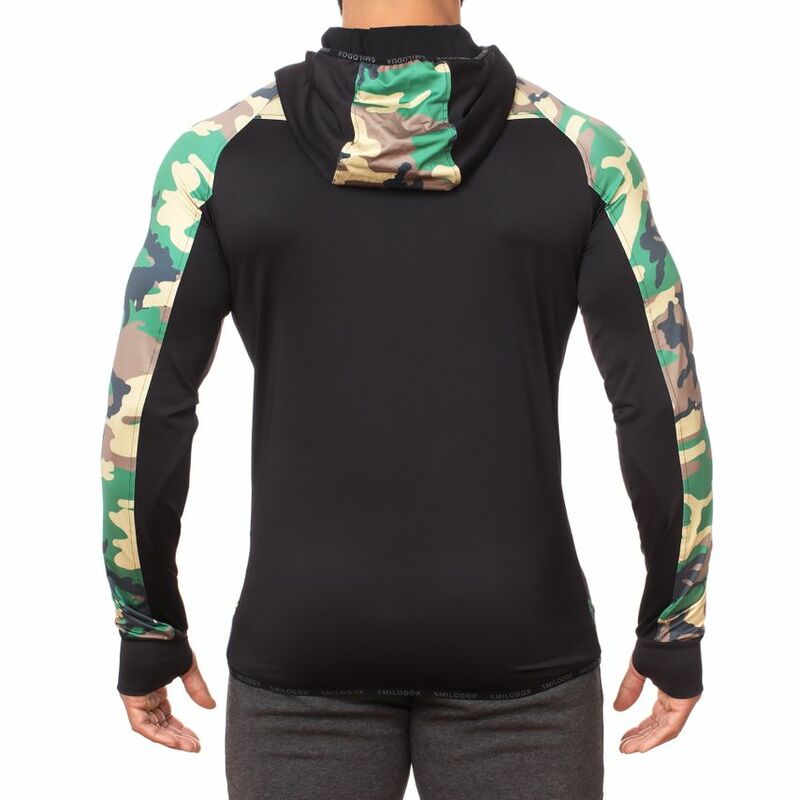 The camouflage pattern on the arms and chest not only emphasizes your muscles, but also the black fabric on the stomach and back optimally shapes your body. 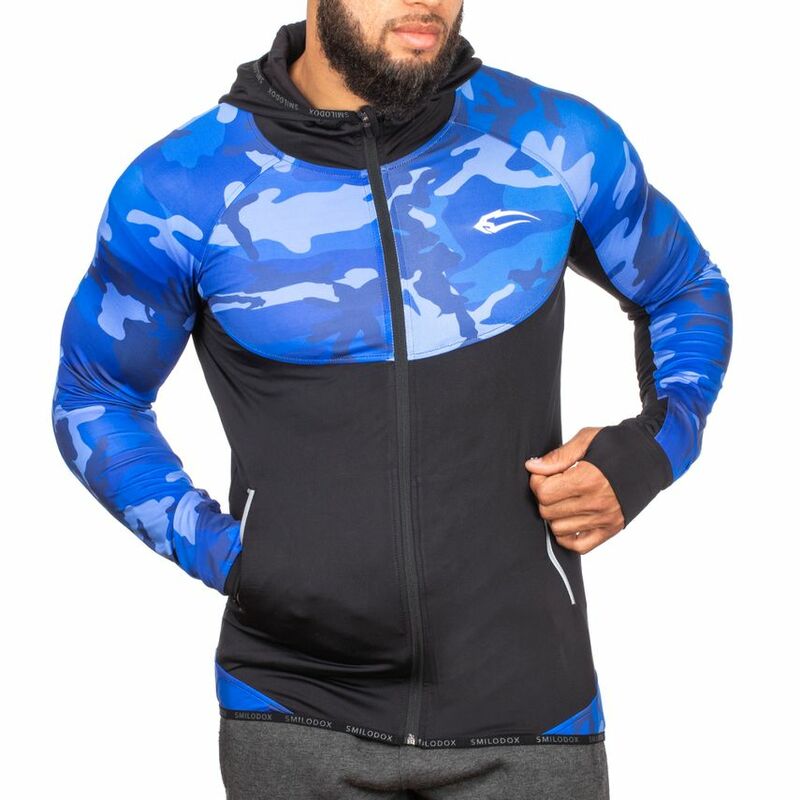 The Smilodox men Zip Hoodie Strength convinces by excellent optics and great design. 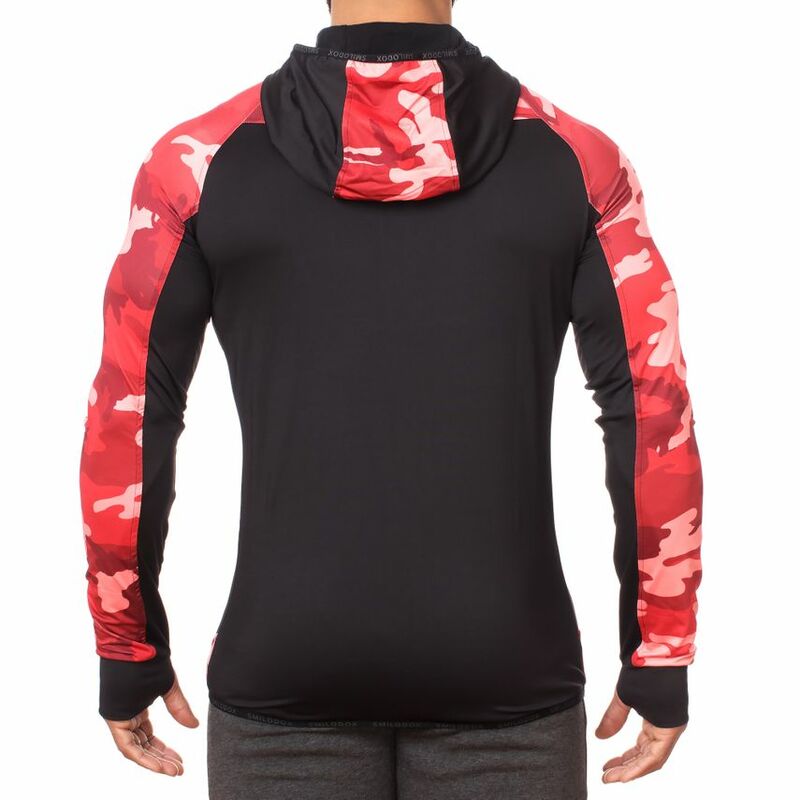 In addition, he is a faithful companion in the gym or while jogging. 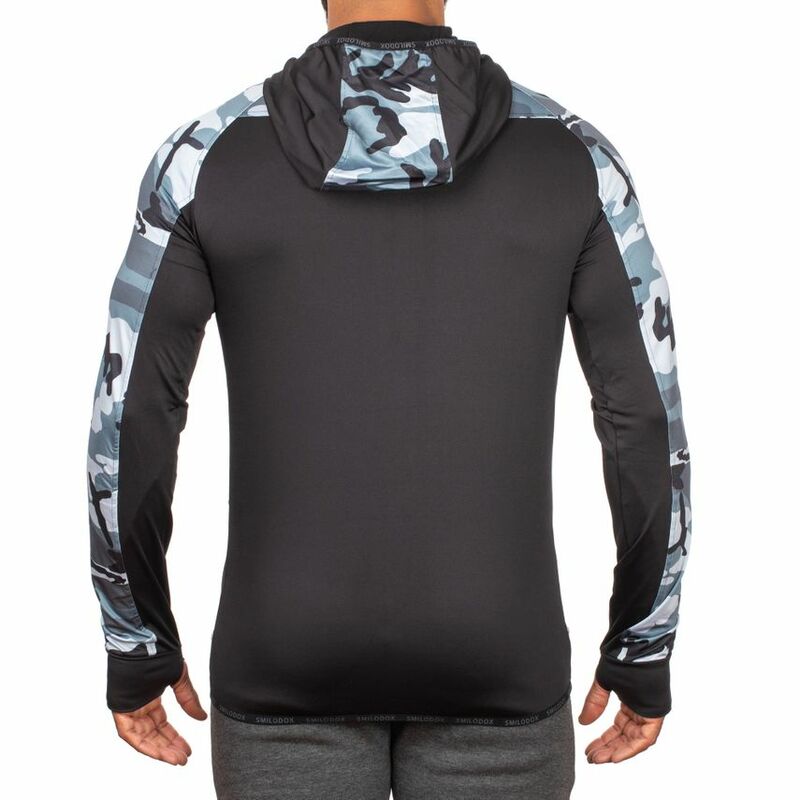 The hood, thumb hole and zipper pockets with reflectors are also very versatile. 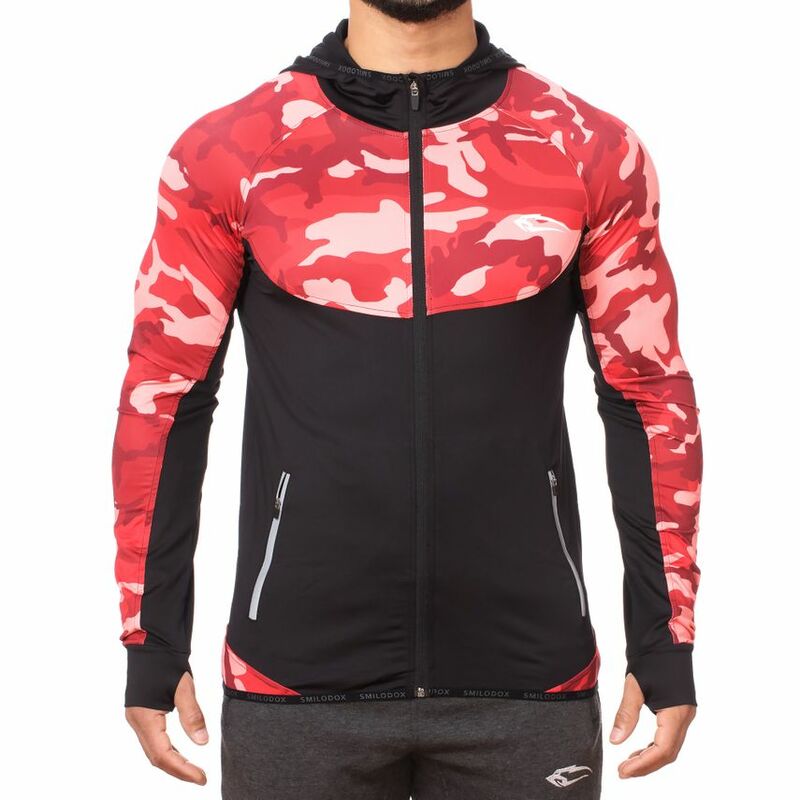 This stylish product is available in three colours. 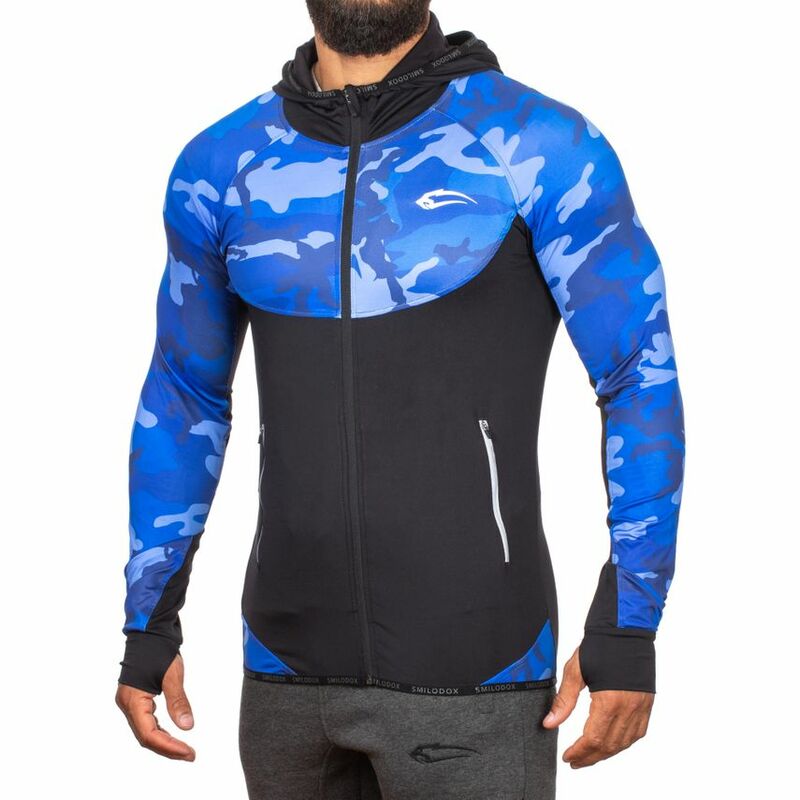 So there's something for everyone!